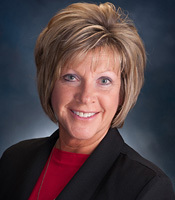 Kathy L. Nahrwold, RDH, President of Absolute OSHA Consulting, LLC, is a graduate of the Indiana-Purdue University of Fort Wayne (IPFW) dental hygiene program. She worked as an independent contractor for MJM Sales & Consulting, Inc. for 10 years before acquiring the business in 2012. Kathy provides OSHA and Ethics presentations in dental offices as well as conducting large group seminars. She is also a CPR Instructor through the American Heart Association and trains dental staff and groups in CPR for the Healthcare Provider. Kathy has been a private practicing dental hygienist for over 35 years. She is an active member of the American Dental Hygienists’ Association (ADHA), Organization for Safety, Asepsis and Prevention (OSAP), American Business Women’s Association (ABWA) and numerous other professional organizations as well as being involved in many community projects. 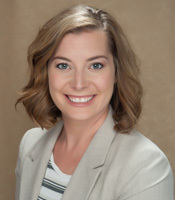 Erin L. Schumm, Executive Administrative Assistant, is a Ball State graduate with a Bachelor’s Degree in Organizational Communication along with a minor in Hospitality Management. Upon graduation, Erin was employed with a nationally known car rental company followed by employment as a certified first responder with a steel manufacturer in Northeast Indiana. 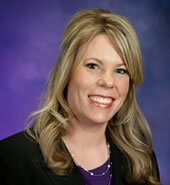 Nicole Schwieterman, RDH, is a graduate of James A. Rhodes State College Dental Hygiene Program. 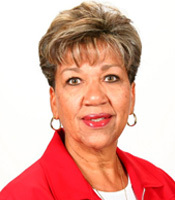 She is a member of the American Dental Hygienists’ Association (ADHA), Sigma Phi Alpha Dental Hygiene Honor Society, and the Organization for Safety, Asepsis and Prevention (OSAP). Nicole is an independent contractor for Absolute OSHA Consulting and has been a practicing dental hygienist since 2007. She is a CPR instructor for the American Heart Association (AHA) and provides onsite dental staff and group training for the healthcare provider. Gretchen Frownfelter-Grimpe, RDH, is a graduate of the Indiana-Purdue University of Fort Wayne (IPFW) dental hygiene program. Gretchen joined Absolute OSHA Consulting, LLC in 2015 as an independent contractor. She has been a practicing dental hygienist for 20 years and a CPR instructor for 10 years; most recently for the American Heart Association (AHA). She is also a member of the Organization for Safety, Asepsis and Prevention (OSAP) and provides OSHA and Ethics onsite dental staff and group training for the healthcare provider as well as larger group seminars. Ingrid Churchill, RDH, is a graduate of the Indiana-Purdue University of Fort Wayne (IPFW) dental hygiene and dental assisting programs. 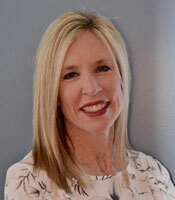 She has been practicing dental hygiene for over 35 years in private practice. Ingrid also worked for Colgate for 7 years as a sales representative. She has been an active member of the American Dental Hygienists’ Association (ADHA), Organization for Safety, Asepsis and Prevention (OSAP) and involved in other professional organizations and community projects. Ingrid joined Absolute OSHA Consulting, LLC in 2016 as the marketing representative for the company. Ingrid also provides OSHA and ETHICS in office presentations. Valerie Messer, RDH, recently joined Absolute OSHA Consulting, LLC IN 2019 as an independent contractor, providing OSHA, ETHICS and CPR training. 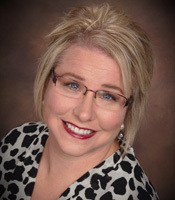 She is a graduate of the Indiana School of Dentistry Dental Hygiene program and has been a practicing dental hygienist in private practice for over 20 years. Valerie has also been an Independent Professional Educator on behalf of Waterpik since 2018 providing education to local dental professionals on the benefits of water flossing and waterpik products. Valerie has been a certified Group Fitness Instructor since 2008 and a certified Personal Trainer since 2017. 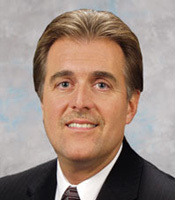 Mike Nahrwold is a graduate of ITT Technical Institute where he was an electronics instructor for 22 years prior to becoming an Indiana Farm Bureau Insurance Agent in 2003. He is a CPR instructor for the American Heart Association (AHA) and provides onsite dental staff and group training for the healthcare provider. © Absolute OSHA Consulting. All Rights Reserved.